A mad god. A vile betrayal. Necromancer Damian Vesik faces his darkest hour, but he’s not dead yet. 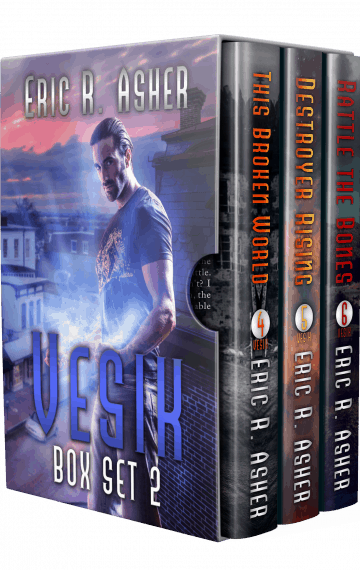 This collection includes books 4, 5, and 6 of the Vesik urban fantasy series. Jump into the madness today! Purchase now in ebook and audio format!